What can we offer coastal businesses? Best practice – sharing experiences from other coastal tourism businesses to help reduce risk to investments and facilitate a better visitor experience. Research – providing access to a range of the latest market insights and research either commissioned by the NCTA or other partners that will allow you to make your business even more competitive. Product development – we will work with businesses, trade organisations and other local groups to support growth aspirations through advice and guidance on what product is needed by emerging or diminishing markets. If you would like to discuss how we could work with you on any one of these projects, please get in touch. 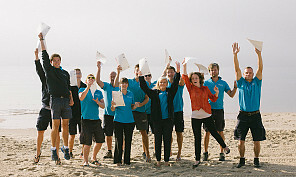 Interested in creating an Ambassador course for your resort?